We’ve talked a lot about customer-facing marketing in the Biotechnology Marketing 101 Blog. As we’ve discussed, it is vital these days to understand who your customer is so that you can build a relationship with them, rather than relying on the old-school methods of broadcast marketing. This relationship will benefit more than just your bottom line–you’ll find that you will get much more feedback from customers who you engage. The first step to building a relationship with your customer, so that you can meet their needs, is to truly understand who they are and what their daily challenges are. One way is to create a customer ‘persona’ which describes the age range, occupation, education level, and other qualities important for ‘putting yourself in their shoes’ to understand their needs. In addition, most social media strategies should start from the customers’ perspective, so it’s a good way to get started. You may also find that after you start, you’ll realize that more than one persona is needed. We’ve created a template (.PPT file) to help you define your customer personas. The template will guide you through the process of defining each of your customer types, from their demographics to their daily challenges, including how your products fit. 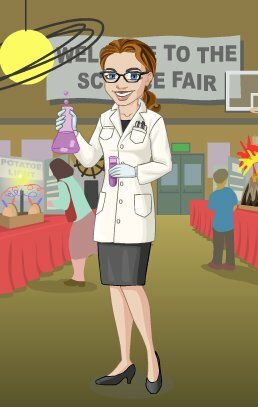 An important part of making the personas ‘come to life’ and easily referred to is assigning each a name such as ‘Suzy Scientist.’ In addition, a picture can be used (sites like this can help). A fun and useful way to get everyone involved in thinking about your customers is to create custom avatars, or computer-generated graphical representations of them. Yahoo has probably the most relevant avatars, with the most scientific accessories, but you can also have some fun and create a Simpsons or South Park character (and if you want to go all out, you can even create 3D characters in Second Life and even interact with them ;). Some of the sites will let you print out a PDF, or you can simply create a screen capture and put it in the template we’re providing. I suggest creating the personas and avatars as a group so that you can brainstorm and hash out differences. Feedback from departments outside of marketing, such as customer service and sales, is also useful, and you can also conduct or refer to market research that you or others have done. How can a persona/avatar be used? Everywhere from product development to marketing tactics. While developing products, the persona will help R&D to remember customer needs when developing products–how will Suzy Scientist use the product and will it meet her needs? Market drivers may also be gleaned during the process as you begin to look at the different groups represented. Also, tactics may change based on your results. For example, if most of your customers are younger, perhaps they are not relying at all on the tried and true print journals, using online sources instead. Also, the personas can help define the messaging of marketing materials by making sure they speak to the challenges or ‘pain’ and how your products will help. The whole organization can benefit and feel involved in the process when can talk in the ‘same language’ about the customers’ personas and think more about their needs. Need help getting started? We know your customers both personally and as a whole and can guide you through the process. Contact us for a free consultation. Thanks for sharing this useful tool. It is indeed interesting that we talk about “getting closer to the customer” but often forget that means a person, not an audience or a market. This persona method is a great way to combine demographic and lifestyle data to paint the picture of a target customer as an individual. You might also enjoy some more practical examples we found.